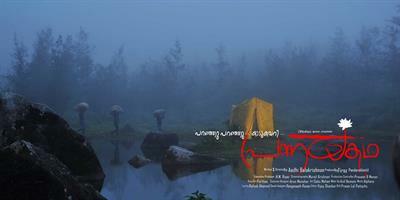 Pranayakadha malayalam movie directed by Aadi Balakrishnan is a romantic thriller which feature Arun V Narayan, Govindankutty, Swarna Thomas, Joy Thomas, Urmila UnniBalachandran Chullikkad, Dinesh, Jayaprakash Kulur, Lishoy, Firos.P.S, Master Farhan, Sumesh and Thara Kalyan in prominent roles. The shooting of the movie is currently progressing in Kochi. 'Pranayakadha' is produced by P.S Firoz under Shahanaz movie creation banner. After 5 months, it had been 85 releases in malayalam giving indication of more movies to get followed. Even though only 5 or 6 movies can be called commercial success, the number game has given time for many people to think twice. Rich in quantity, the quality of many movies remains impervious. Made with a low budget, most of the movies lack the excellence which is even shown by album makers. The entry of young directors and actors is a good sign, but the quality of the product does matter. With a long line of movies under production, if sources are to be believed, there will be more than 220 releases only in 2013. How many movies can survive with satellite rights? Let's wait.. Meanwhile it's time to report about a new project which is currently progressing in Kochi. 'Pranayakadha', the directorial debut of Aadi Balakrishanan is a romantic thriller which revolves around three youngsters. The movie feature Arun V Narayan, Govindankutty, Swarna Thomas, Joy Thomas, Urmila UnniBalachandran Chullikkad, Dinesh, Jayaprakash Kulur, Lishoy, Firos.P.S, Master Farhan, Sumesh and Thara Kalyan in prominent roles. 'Pranayakadha' is produced by P.S Firoz under Shahanaz movie creation banner. Anand(Arun Narayan), Seban (Govindankutty) and Reetha(Swarna Thomas) are the lead characters in this triangular love story. Seban is the son of a timber mill owner donned by actor-director Joy Mathew. Much interestingly, Govindankutty's character will have a negative shade with more scope to show his acting brilliance. Even though the storyline of the movie is under hush, it would be much interesting creamed with all flavours which would keep the audience intact. Govindankutty who has been credited as a popular anchor had done the script and direction a movie titled '420' which was appreciated wide applause for good execution. As a young film maker much expectations is on Aadi who has to prove his skill as a direction. After the post production works, the movie is expected to reach theatres in a couple of months.